Calling all Southern Chefs: apply today for a chance to battle in the 3rd annual Farm and Table Chefs Taste Challenge (CTC). This event is currently accepting applications for participating chefs for this unique event taking place September 8, 2017 at the New Orleans Ernest N. Morial Convention Center. The Chefs Taste Challenge will feature ten chefs who will compete to create the best dish that utilizes farm-fresh items from a pantry of pre-selected ingredients. Items stocked in the pantry will be representative of ingredients that are in-season in various regions at the time of the competition. Participating chefs’ dishes will be judged by a panel of renowned judges with the top two dishes being selected for Gold and Silver Chefs Taste Challenge awards. A “Fan Favorite” award will also be presented based on voting from dinner attendees. All 10 selected chefs will receive national recognition for their participation in the Chefs Taste Challenge dinner event. Interested chef participants should refer to the CTC website at www.chefstastechallenge.com for additional information and rules for the event as well as the consideration and selection process. Applications will only be accepted through online submission. The planning committee will review all applications and select those chefs who epitomize the farm to table movement. The deadline for applications to be submitted online via www.chefstastechallenge.com is June 26, 2017. 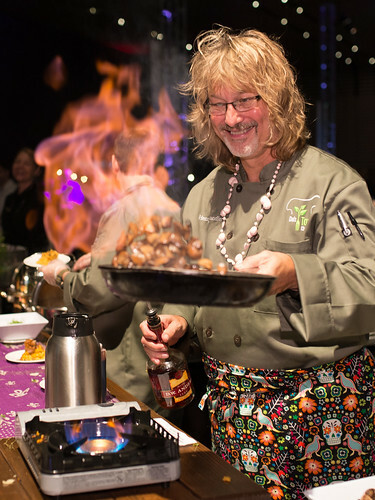 The Chefs Taste Challenge is produced by the New Orleans Ernest N. Morial Convention Center, in partnership with the National Farm to Table Alliance. The CTC is held in conjunction with the Farm and Table Experience, taking place September 7-9, 2017 at the New Orleans Ernest N. Morial Convention Center. F&Te explores the cultivation, distribution and consumption of food and drink sourced locally to globally. For more information on F&Te, please visit farmandtablenola.com. Chefs Taste Challenge 2016 Fan Favorite Chef Henry Chandler cooks a dish for hungry attendees.